Louder Than War have given our new tune ‘Shake It’ a great online premiere – it’s out on 26th April on Primitive Light Recordings as a download. 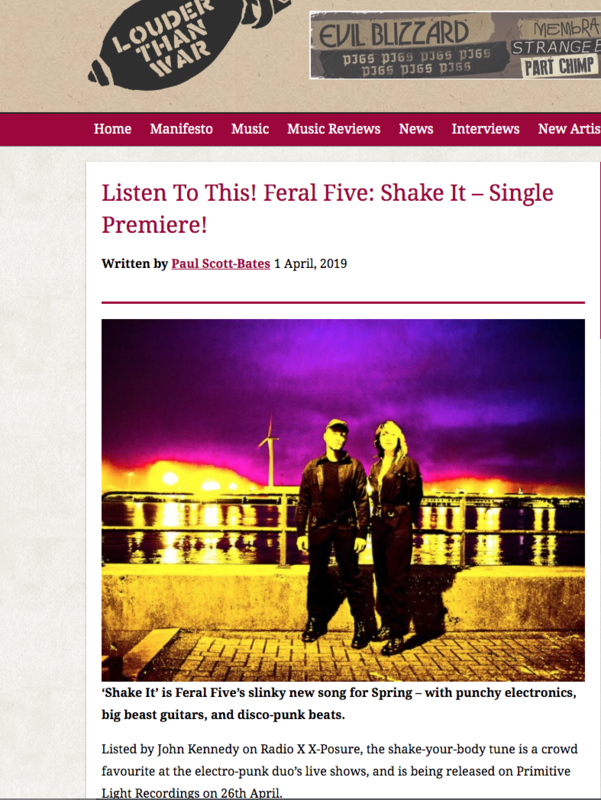 Big thanks to LTW’s Paul-Scott-Bates, for the write-up of our new shake the floor single with punchy electronics, big beast guitars, and disco-punk beats. You can give ‘Shake It’ a pre-save here.